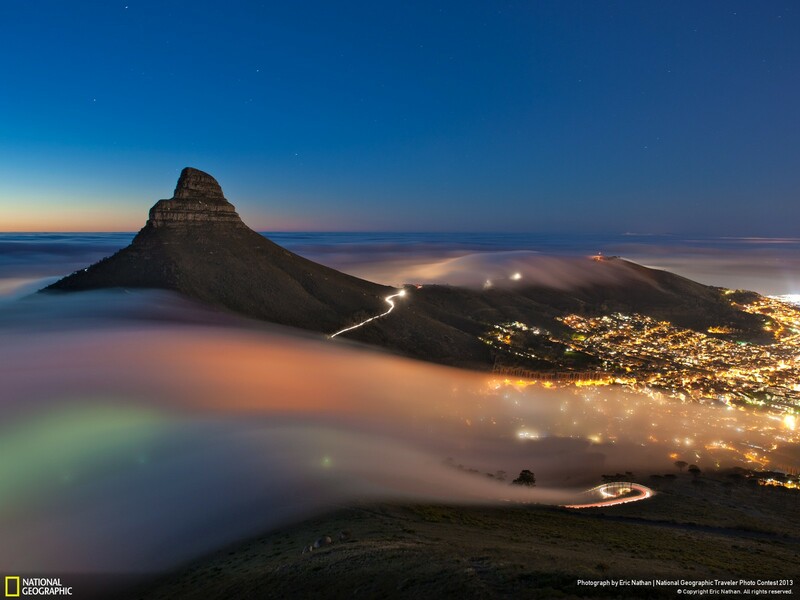 This is one of Cape Town’s most popular hikes (and night hikes on or around full moon). 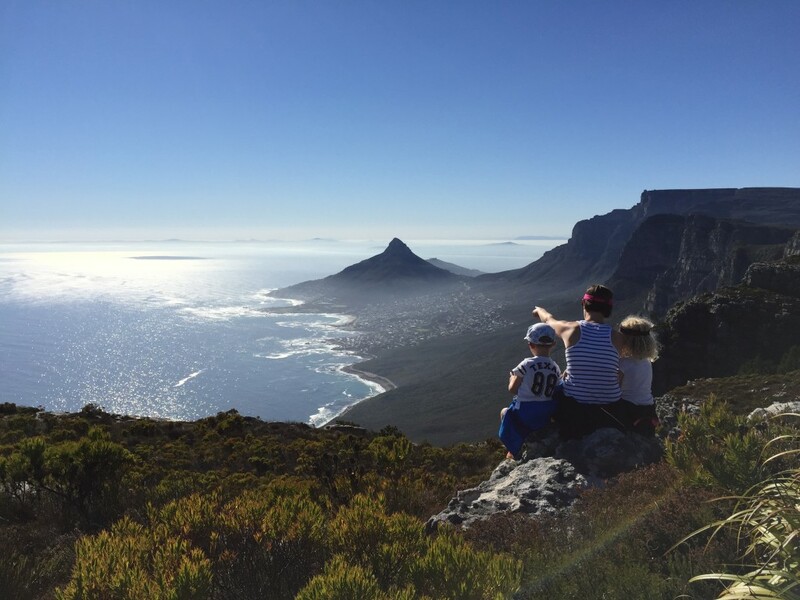 Lions Head is right next to the city bowl and has arguably the best views in the Cape, looking over the 12 Apostle Mountains towards the South, Camps Bay, Clifton, the city and surrounds, and all the way out to the Paarl mountains. 360 degrees of awesome! The walk starts off steeply along a dirt track but flattens off into single track as it winds its way around the mountain. You complete a full circle of the peak before the final summit, which requires agility to ascend the sandstone rock that is its peak. There are sections of rungs bolted into the rock where you need to climb (be weary if you are afraid of heights, but to put it into perspective our children do it with relative ease). Alternatively you can opt to walk around it, which is slightly longer but cuts out the climbing. There are still ladders to scale further up however. This is an energetic climb but ‘bang for buck’ probably the best hike I’ve ever done. The views are extraordinary and you get very high very fast. Ability level: You do need to be fairly able bodied and coordinated, but our kids can do this climb without any trouble. Time: 1.5 hours up and 1 hour down. At a mild pace. 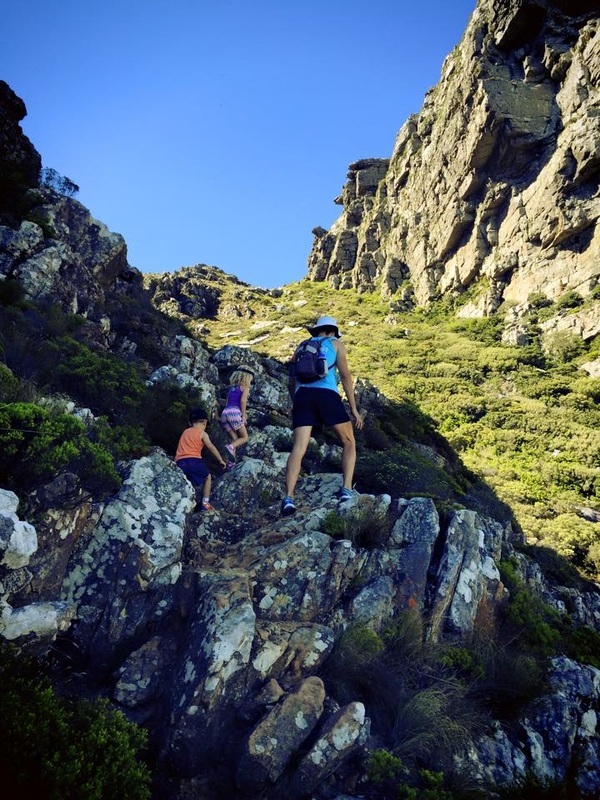 Undoubtedly one of our children’s favourite routes up Table Mountain. This is not because it is easy. It is in fact, one of the more challenging routes we have done. It is fairly steep, requiring you to do a fair amount of scrambling, using arms as well as strong leg muscles to keep you going up. There is no “easy” on this climb. It is exciting, it is beautiful, and it gets you to the top fast. Our children get bored when there is nothing for them to “do”, so this is ideal in that they are always climbing, always using their whole bodies, always having to concentrate. They did this for the first time at 3 and 4 years old, under close supervision (falling over backwards is a very real possibility), but with very little actual help. Ability level: Not for those looking for a gentle walk (except for the first section of jeep track). Make sure your kids are coordinated, if they are not, walk behind them to steady them. Fairly tiring, but well worth the effort. Time: 1.5 hours up at a good kids pace, easy pace for us. Less than an hour down. Above Kirstenbosch gardens climbing Skeleton gorge. This walk starts inside Kirstenbosch gardens and is beautiful and shady from the outset. It fairly quickly becomes steep stairs, but a wonderful canopy shelters you as you climb the gorge to the top. As you get higher you are required to use your arms as you cross over the gorge and scale boulders, making it a full body climb at times. The last time we did this route our kids were young enough to be in packs on our back. It was tiring going for us as there wasn’t much area to let them walk at 1 and 2 years old. As you get closer to the top it begins to flatten out and you emerge into the sunshine. At this point you can pick one of many return routes. A great idea is to walk across the top to the cable car for lunch. Don’t underestimate this distance however. Other options including returning down a different gorge into Kirstenbosch, or walking south and down Constantia Neck. Ability Level: You need to be willing to sweat going up. It is certainly not for the faint hearted. I would attempt it now with our kids as I think they would manage well (although I’m sure they would have enjoyed it when they were younger too). Time: Going up you are looking at roughly 1.5 hours, moderate adults pace. From the top it is another 2 hours to the cable car. Rounding Llandudno corner on the way down. Absolutely one of my favourite routes up the mountain. Unspoiled views, incredible fynbos and relative solitude await. Being one of the lesser known, or possibly just lesser climbed paths up the mountain, makes this even more enjoyable. The climb includes all types of terrain; normal climbing, short rock faces, some stairs, as well as flatter sections. There are great lookout points and interesting rock formations as you get closer to the top. Cresting the final rise gives the most breath-taking view of Lions Head and Table Mountain from the south; I could sit there for hours. The hike begins next to the entrance to Ruyterplaats Estate, at the top of Suikerbossie in Hout Bay. Ability level: We have walked this a couple of times with our kids but it took us a few tries before we reached the top and required determination to get there. Not recommended for young children or those with no hiking experience. There are a few sections of climbing up rock faces, narrow paths with steep drop-offs, as well as slippery rocks in the rainy season. Time: It took us about 3.5 hours to reach the top of the climb. This did include a lot of stopping. You could continue on along the top of the mountain at this point or turn around and walk down again. We turned around and it took us 2 hours to reach the bottom. 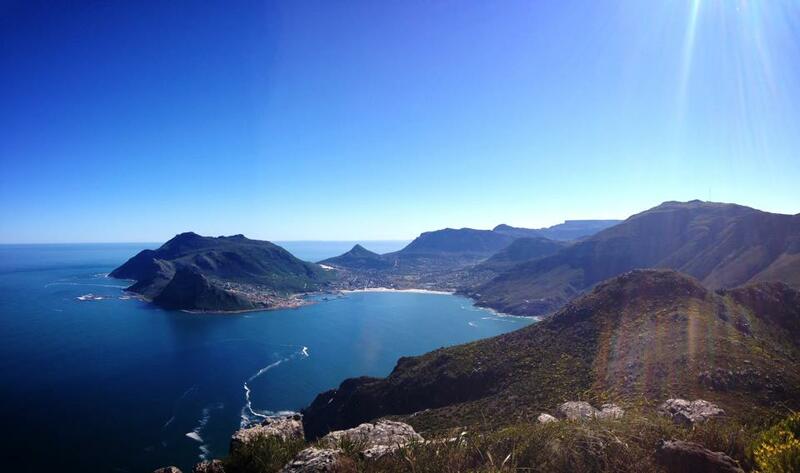 The view over Hout Bay from the top of the Chapmans Peak climb, above Noordhoek. There are a number of walks you can do up Chapmans Peak. The first starts at the old forts, and winds its way up the first mountain. We have never been to the top, but it is a lovely gentle climb to while away a few hours on a weekend. If you park at the check point near the top of Chapmans Peak, you can walk up a beautiful path surrounded by magnificent Cape fynbos. This path diverges after reaching the first plateau. You can either walk east towards Muizenburg, or you can turn right, heading west up a path which leads to a rocky out crop with a look out over Noordhoek, Hout Bay and False Bay. Ability level: You needn’t be very fit; it is a gradual climb that can be taken at your own pace. Old and young alike can manage and it has wonderful views once you have crested the first plateau. 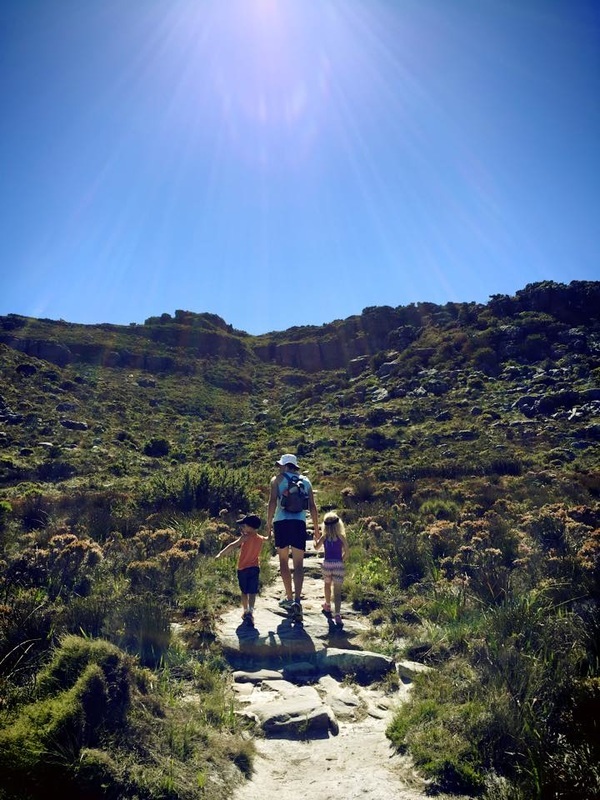 Time: At a medium pace with our kids we took 1.5 hours to get to the rocky outcrop over Noordhoek, once you follow the path right. Note: Chapmans Peak is still closed to hikers from the 2015 fires and is currently devoid of its proliferous, lush, fynbos. 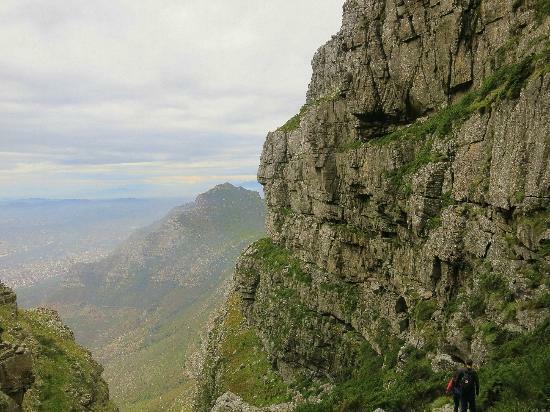 This well walked and popular tourist climb is +/- 1km to the left of the cableway. It is steep going from the start and the majority of this climb is a winding, rocky staircase. You don’t have to be incredibly fit, you can do this at any pace, plodding slowly up. It is deceptively long and deceptively high however. We recently walked up with our kids (accustomed to this madness), a friend of ours, and his son. All the kids were full of beans on the way up, racing to be in first place, but needed encouragement on the way down. This climb is not easy on the knees so if you have knee issues consider a different route down (potentially the cable car). It is a fun climb to get to the top and see all the other tourists who cruised up in the cable car, and then join them for some lunch in the restaurant. Ability level: Strong knees required, but that withstanding, you just need the heart to reach the top. No climbing/scrambling sections. No ladders. No flat sections. Time: If you are fit and strong, approximately 1 hour. With kids, it took us 2 hours. Once you reach the top it is another 20 minutes to the cable station. Down we managed in roughly 1 hour. Walking the service road up Constantia Nek. A firm favourite with the southern suburb locals. There are numerous paths and dirt roads to be explored and you will be doing it in the company of a wide variety of both animals and people. Despite the frequency of visitors to this part of the mountain, it remains beautiful and filled with wildlife. 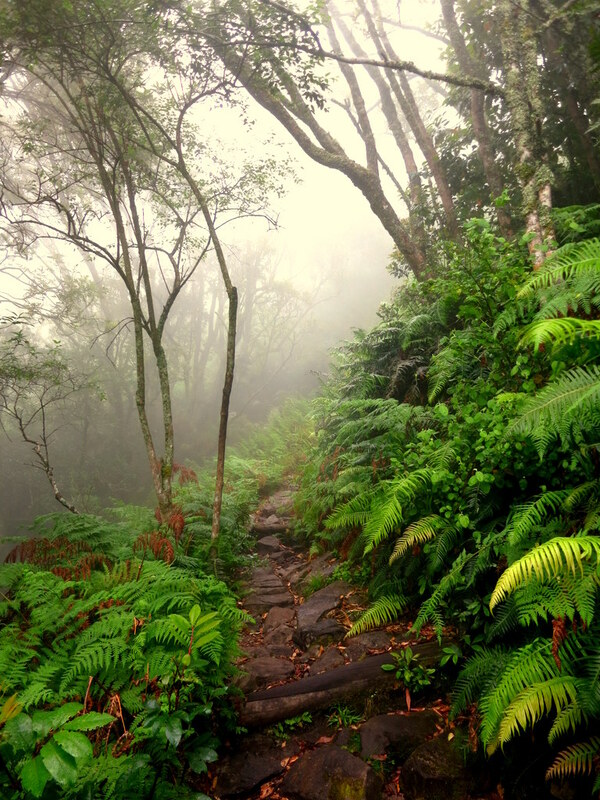 We have encountered many snakes on our walks here and if you persevere to the top of the mountain you will be rewarded with wonderful views and a flat surface to explore while resting your legs for the descent. On a hot day you can take a dip in the reservoir on the top of the mountain and enjoy breath-taking views of the Atlantic Ocean if you walk west to the top of Llandudno Ravine. Ability level: Any age, shape or size. You walk as far and as high as you can. There are many options in this area. India Venster in the rainy months. A route for the adventurous. Not something we have attempted with the kids yet. You climb up directly beneath the cable cars and follow the path as it skirts around to Camps Bay where it heads straight up to the cable car area. This route has lots of climbing, some hair-raising height sections and requires lots of spirit. You would normally see the more seasoned hikers walking this route but that’s no reason why you shouldn’t give it a shot. The hiking is varied and offers a bit of everything. Ability Level: This is a great option for relatively fit people looking for an exciting climb (or anyone with lots of heart). Time: Roughly half a day’s hike up and down, depending on your speed. If we took our kids I’d imagine it would be closer to 6 hours. 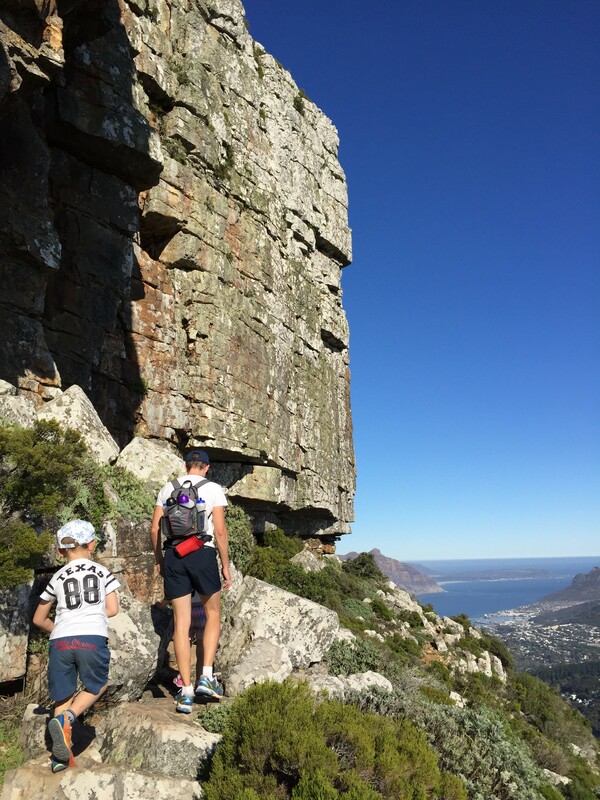 Exploring the top of Table Mountain. The trick here is you have to get to the top somehow. We are never ones to queue for the cable car, but if you don’t mind that, head up for some breakfast with a view, and pick your route across the top. I am always surprised by the topography on the top of the mountain, regardless of how often we have been up there; it is unbelievably varied. There are valleys of lush fynbos, dry rocky outcrops and rivers that wind their way towards plummeting ravines. Our favourite side to walk is from the cable car towards Llandudno Ravine. You walk down through valleys, up and over hills (no, it’s not flat up there) and all while enjoying peace, quiet and relative solitude. Ability Level: There is something for everyone, even if you only walk along the viewing area next to the cable car. Time: There are route markers on the top of the mountain with estimated hiking times, use those as a guide when planning your route. Marvellous, Mary! Just marvellous, and superb pics. I just love everything!